Massey Ferguson Dealers is a tractor supply company. We only deal in Massey Ferguson tractors. We export new Massey Ferguson tractors as well as Massey Ferguson second hand tractors. 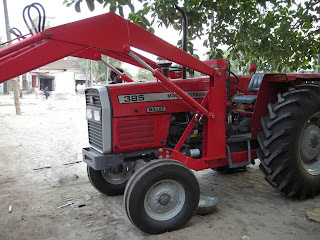 Our exports mainly include Massey Ferguson 240,Massey Ferguson 260, Massey Ferguson 350, Massey Ferguson 375, Massey Ferguson 385, Massey Ferguson 460. We have different Design and Types. We have the Best and A+Grade Quality Tractors & also their Implements EDGE OVER 2WD Traction (30% More) Drawbar Power (16% More) Drawbar Pull (34% More) Tyre Wear (15% less) Fuel Efficiency (15% More) Field Work Speed (13-20% More).